With native 4K@60p input and output, the E2 provides impressive pixel processing power. Whether native or scaled inputs, single cable 4K60p, two connectors or four, this HDCPcompliant system manages it all. 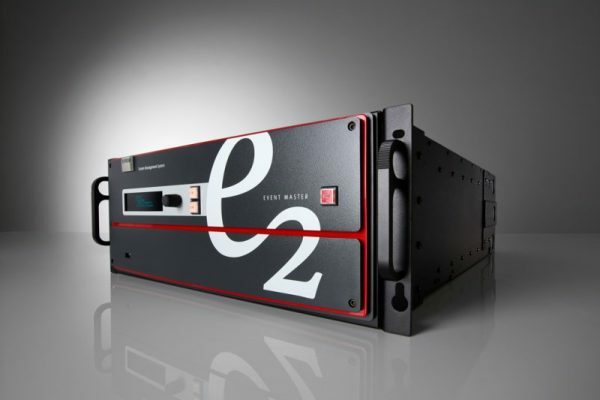 With up to 32 inputs and 16 outputs, the E2 system offers full screen control. 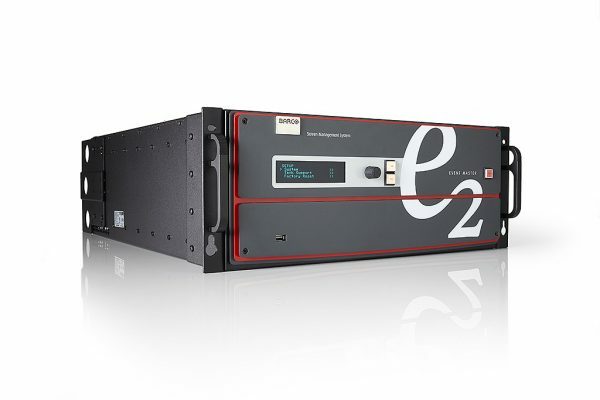 The E2 can support up to 32 HD pips or 8 4K pips. The layers can be configured to support a mixture of HD and 4K resolutions maximizing your system flexibility. 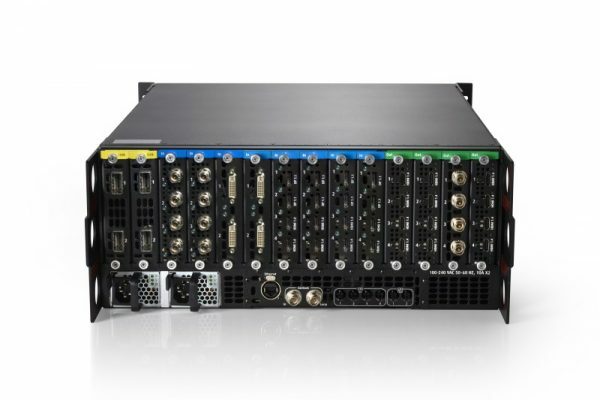 Thanks to its linkable chassis, it can easily expand beyond the capabilities of a single box without the need for additional external processing and matrix routing to distribute the signals. Currently the linking in E2 supports up to eight processors for a total of 32 4K outputs, with the possibility of more in the future. 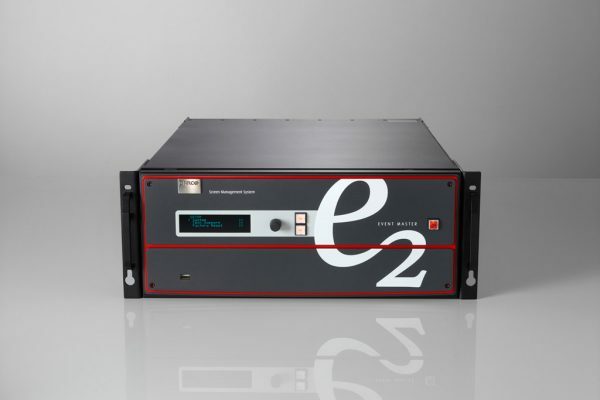 The E2 offers an extremely flexible layer management system. The E2 starts with a pixel perfect, full resolution, unscaled background layer that is the same resolution as the screen destination. As an unscaled mixing background layer it does not use any of the valuable scaling layers. With up to 32 layers available in HD, the E2 can customize the layer configuration to meet the needs of your application. The layers provide either pip or key effects, and can be configured for HD, Dual Link (2560×1600 or 3840×1200 max), or 4K resolutions. Each destination gets dedicated layers, so you know exactly how many resources are available. The layers can also be configured as single layers with cut transitions, or two of the scalers can be combined to create a mixing layer. Each destination can support a combination of mixers, single layers, pips, keys, and various sizes of layers, all to create a single composited image on the screen. 8x Input card slots supporting up to 4K resolution per slot. Each card slot accommodates either 4x HD inputs, 2x 2,560 x 1,600 inputs, or 1x 4K input. 4x Output Card slots for PGM screens and Auxes that support up to 4K resolution per slot. MVR is supported by the last slot to the right. Outputs configurable as single screens or tiled/blended widescreens. Outputs can also be configured as Scaled Auxiliary outputs. More than eight outputs can be assigned to a screen destination, provided they are positioned inside the processing canvas. inside of the processing canvas. MVR supports 2x HD outputs displaying all inputs and outputs available to the chassis. Up to 48 HD inputs can be shared globally in a system linked for input expansion. Processors also have access to their local sources. Up to 48 HD inputs can be shared globally in a system linked for input expansion. Processors also have access to their local sources. 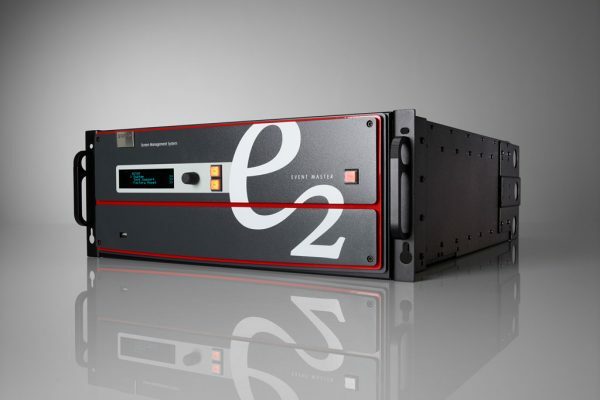 E2 ships with the ability to link 2 chassis for expansion. Linking additional chassis will be available in a future software release.